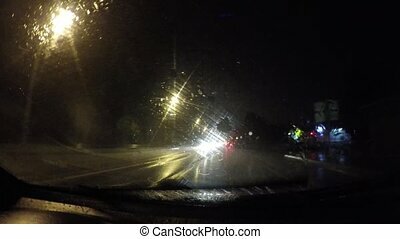 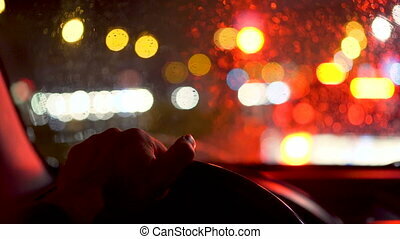 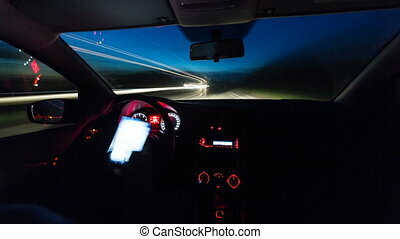 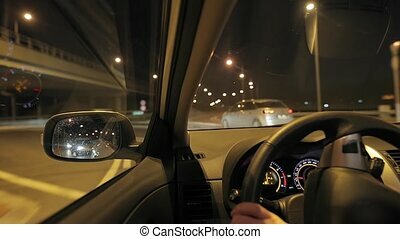 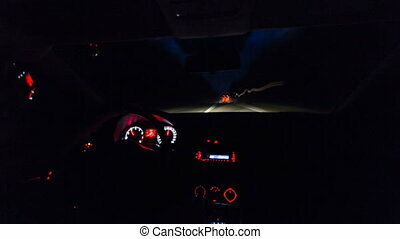 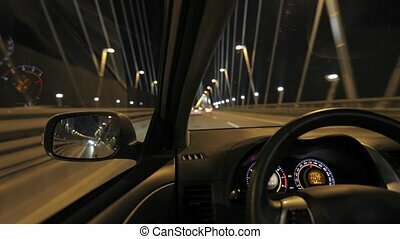 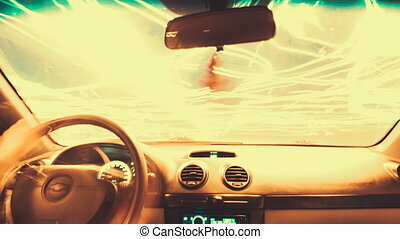 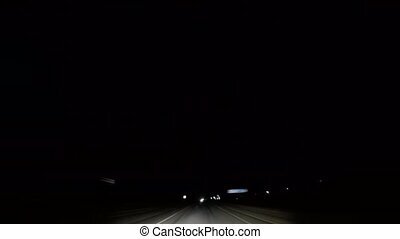 Driving a car on a country road at night. 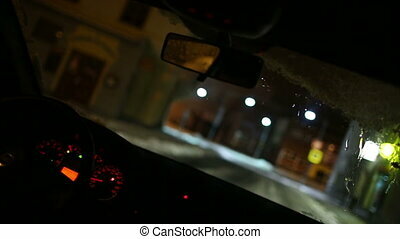 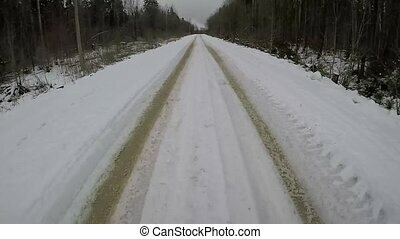 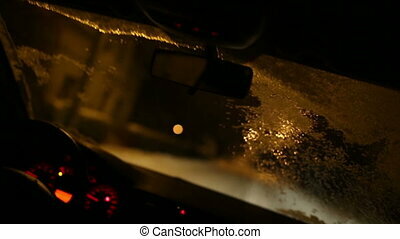 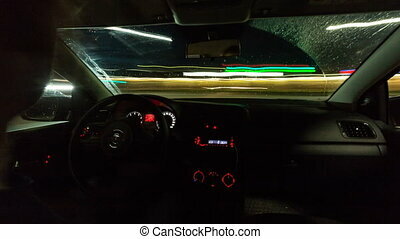 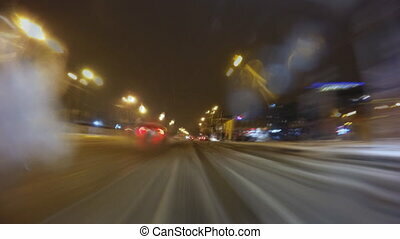 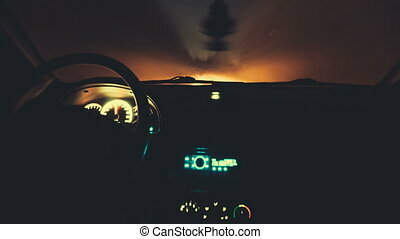 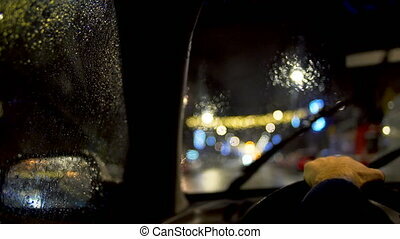 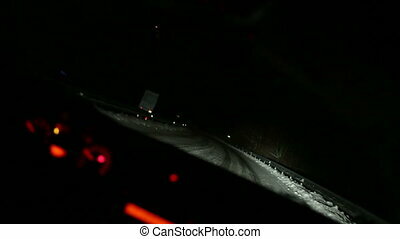 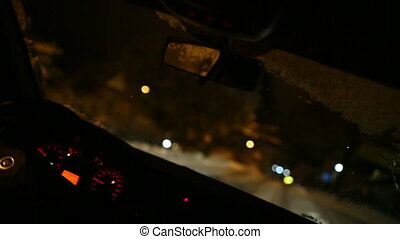 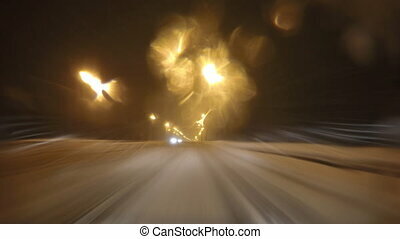 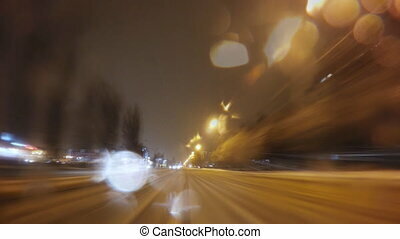 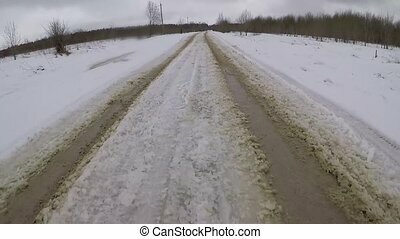 Car driving on a night city road at winter snowfall. 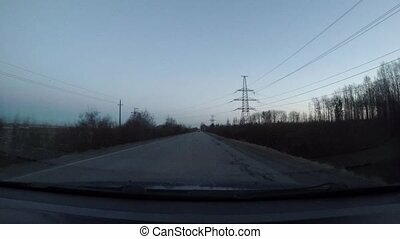 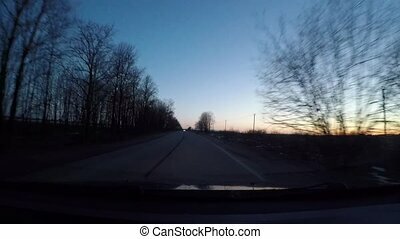 Driving on a country road. 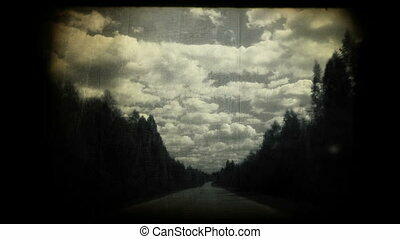 Vintage styled timelapse. 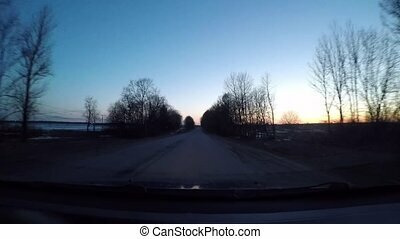 Driving a car on a country road back view. 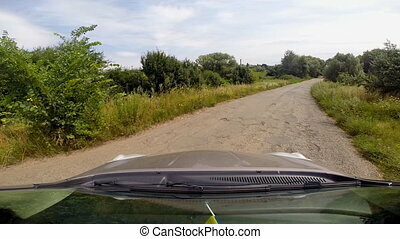 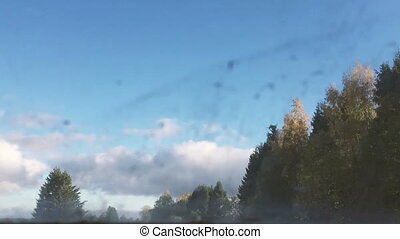 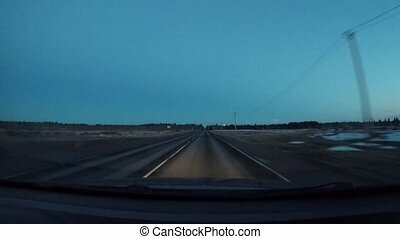 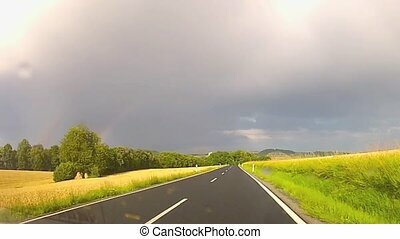 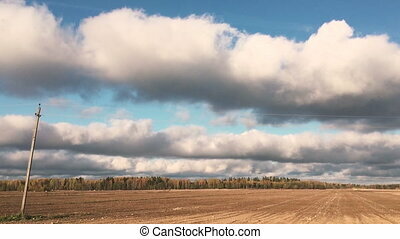 Driving a car on a country road side view.